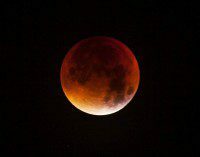 Once in a Red Moon! – 3 days and counting to ADR Big Bang! Sometimes something rare comes along that changes our perspective and outlook on life, like a red moon. Unfortunately waking up at 3am was a sacrifice I was unwilling to make to witness this event and many people will have slept through it, unawares. Others may have seen it and been underwhelmed. There are now less than 3 days to go until the biggest shake up in complaints handling and pre-action dispute resolution. Again, many people are unaware of this change or don’t think it will impact on them. I think they are missing out on a very great sea change to the way in which complaints are handled in the UK and they may get a rude awakening after 1 October. The implementation of these rules coincides with an increase in consumer complaints. For example, following the Volkswagen scandal consumers are likely to complain about the performance and fuel efficiency of their vehicles. There is an increasing gap between test results and the real world. Mercedes has now been mentioned and the issue appears to affect all vehicle manufacturers. From Thursday all UK businesses (including lawyers) have to inform clients and customers about a certified alternative dispute resolution provider and whether they will use them. It makes sense to use ADR as it saves costs and is quicker than going to Court as well as protecting a business’ reputation. This can be seen as an opportunity to look afresh at complaints handling procedures and revise them to make sure that they comply. This is coupled with the Consumer Rights Act 2015 coming into effect. Then from January all businesses which sell online have to link in to the EU ADR Portal to refer disputes to ADR throughout the EU which will work in different languages. In our view, the tide is turning in favour of ADR and the new rules will revolutionise the way in which disputes are dealt with and change litigation culture in the UK as consumers get used to mediation and negotiating. We have set up a certified online dispute resolution system, approved by Trading Standards which is already receiving good feedback from users. We are here to help.